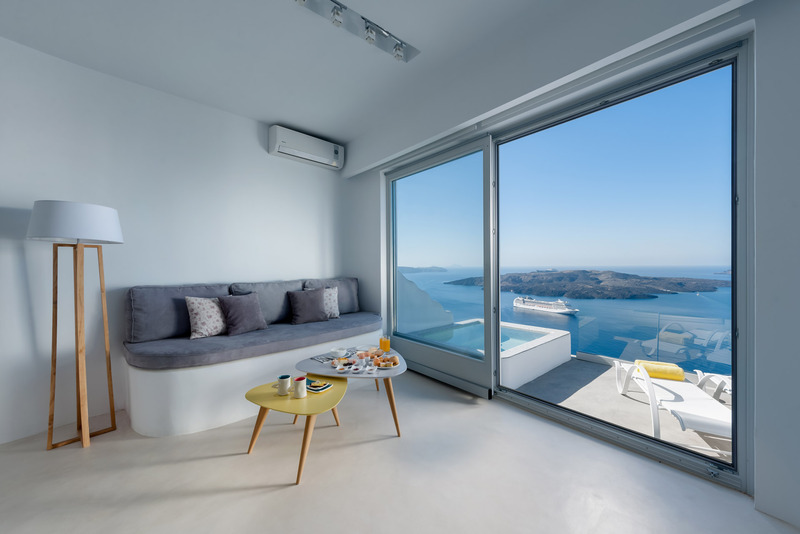 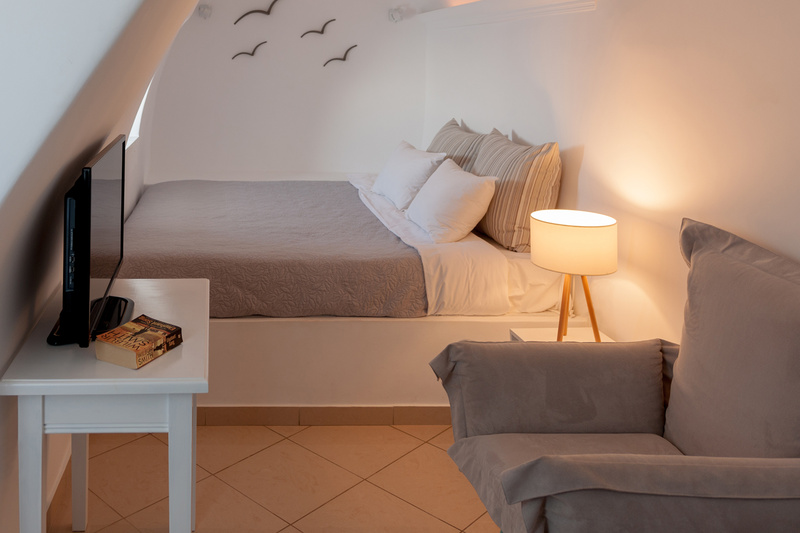 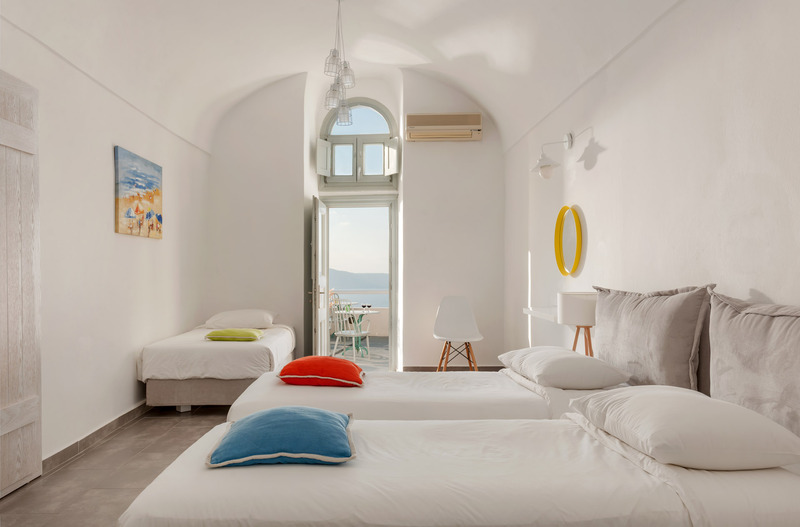 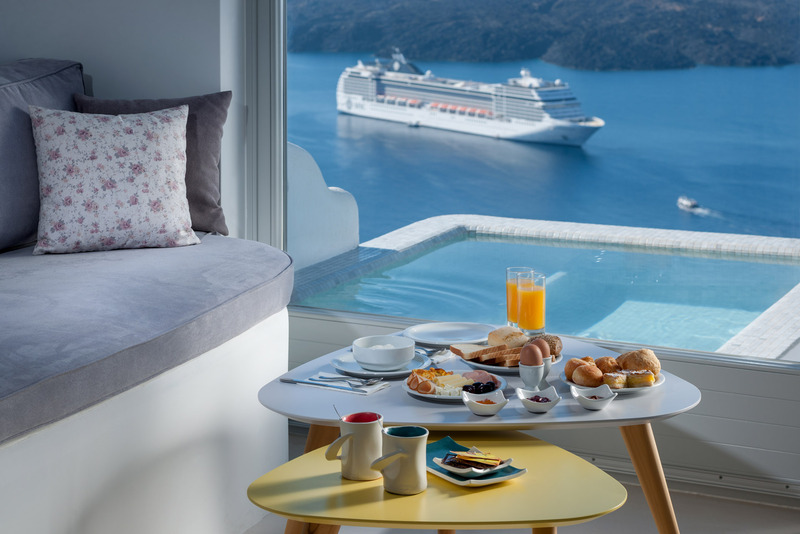 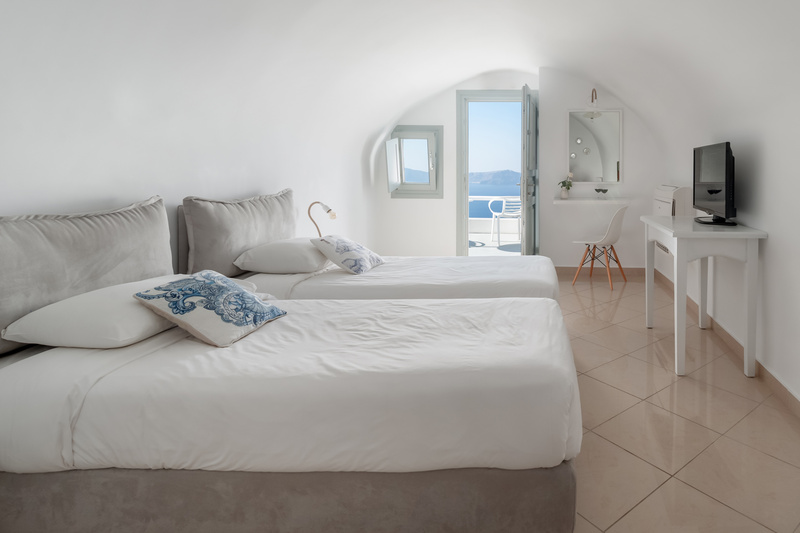 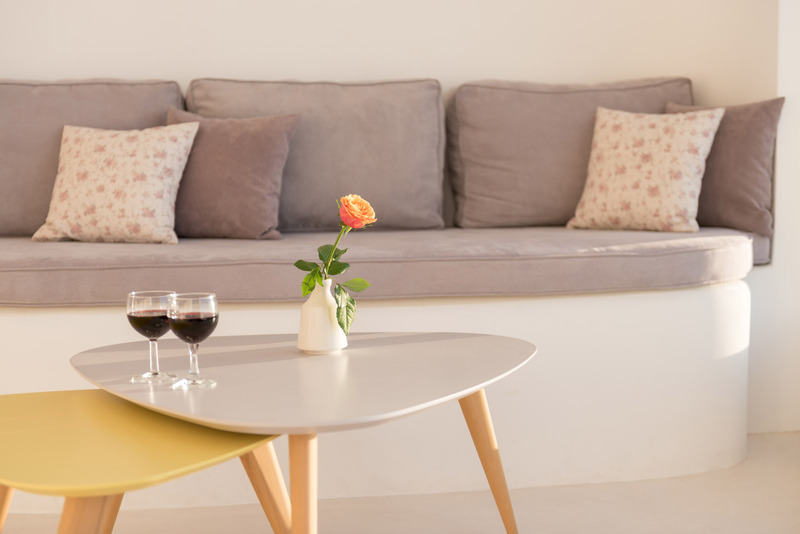 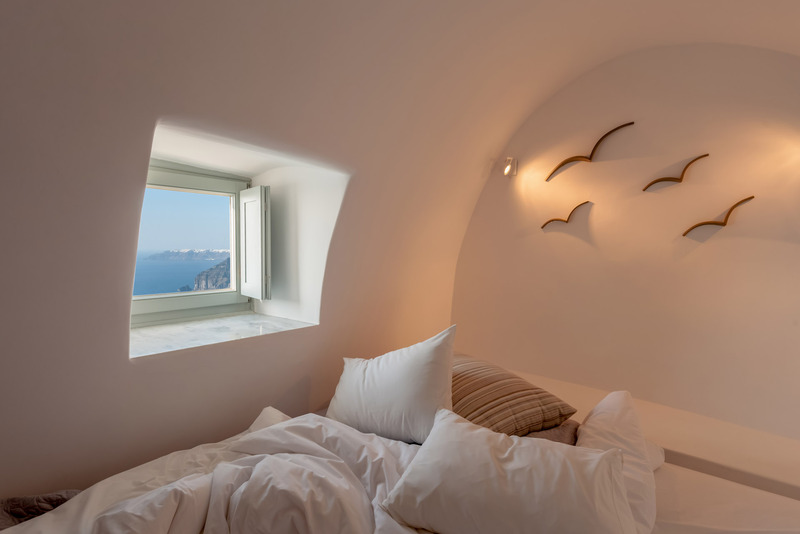 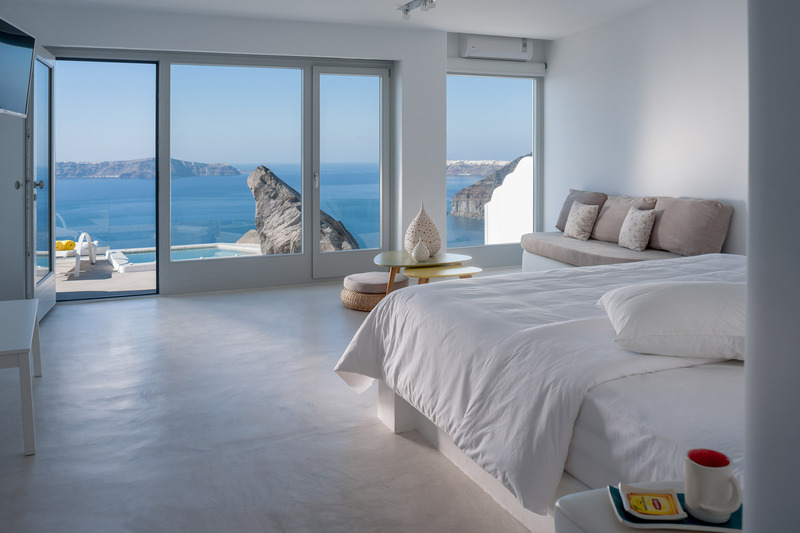 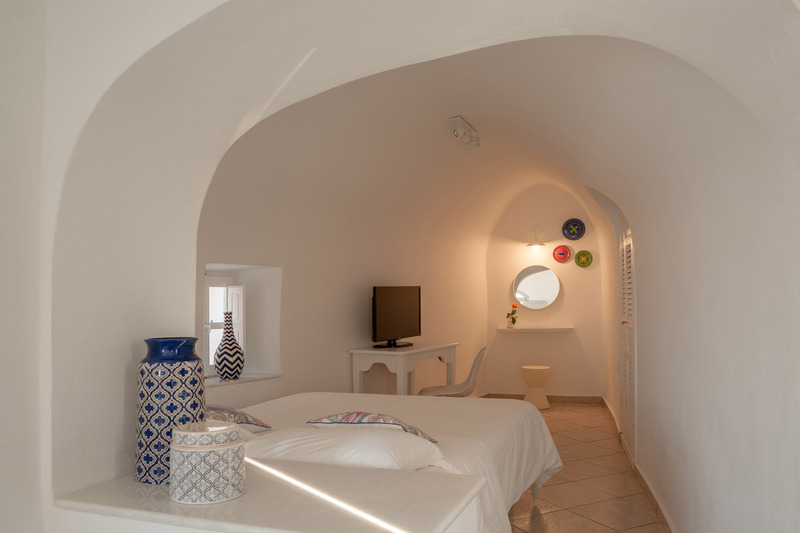 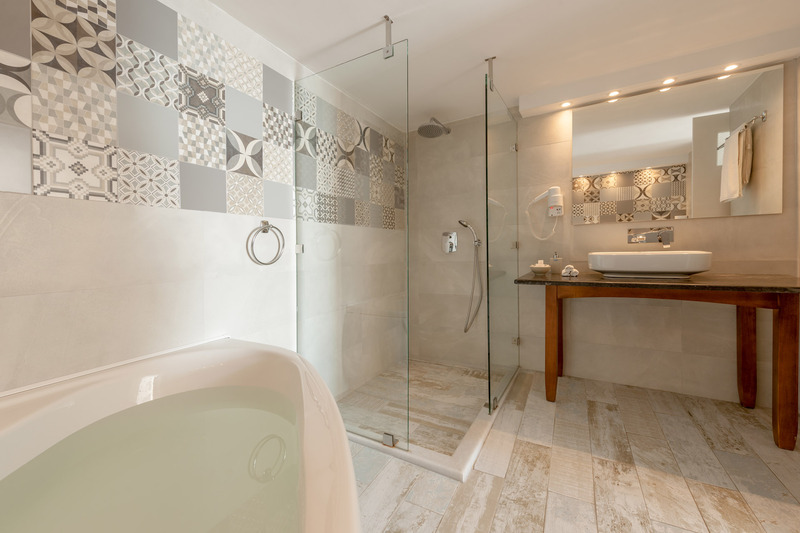 The Hotel KETI lies in a marvelous location of Fira, the capital of Santorini, offering magnificent views of the Aegean Sea and the Volcano.The hotel is a recently renovated, traditional building. 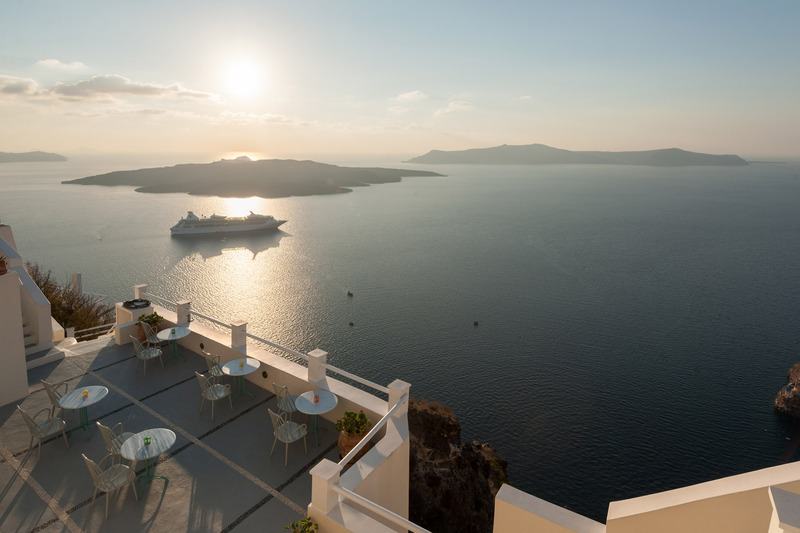 The privileged location of Hotel Keti at the left end of the amphitheatrical Caldera, combines in a unique way the direct contact to the traditional elements and the beautiful view, with the wide range of entertainment facilities. 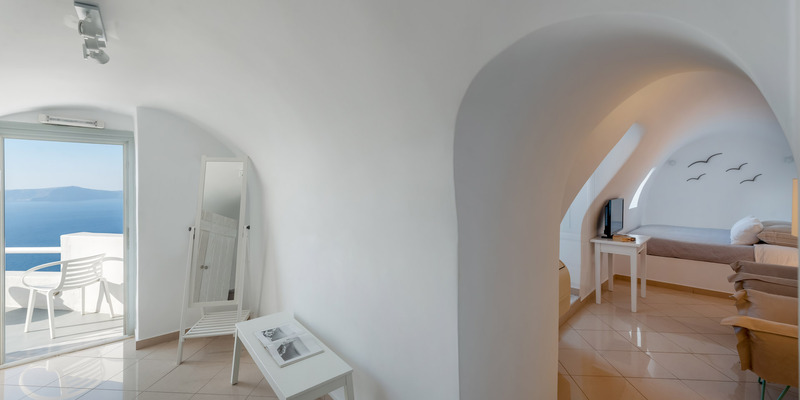 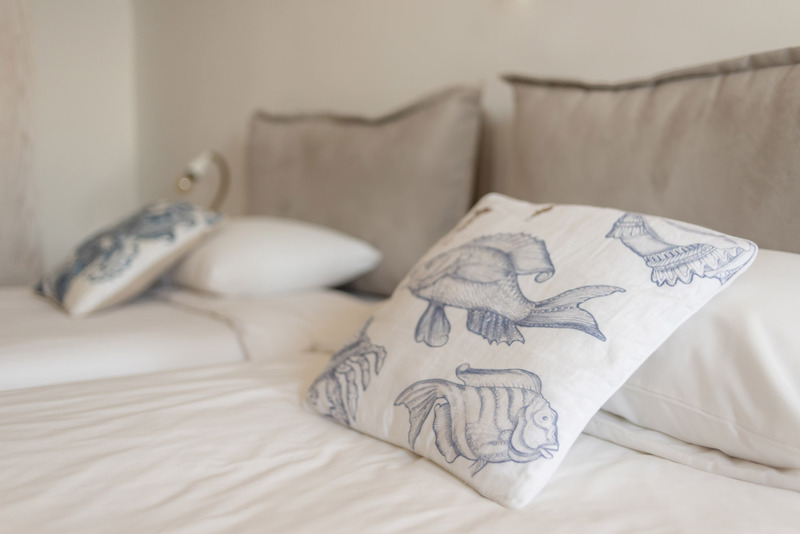 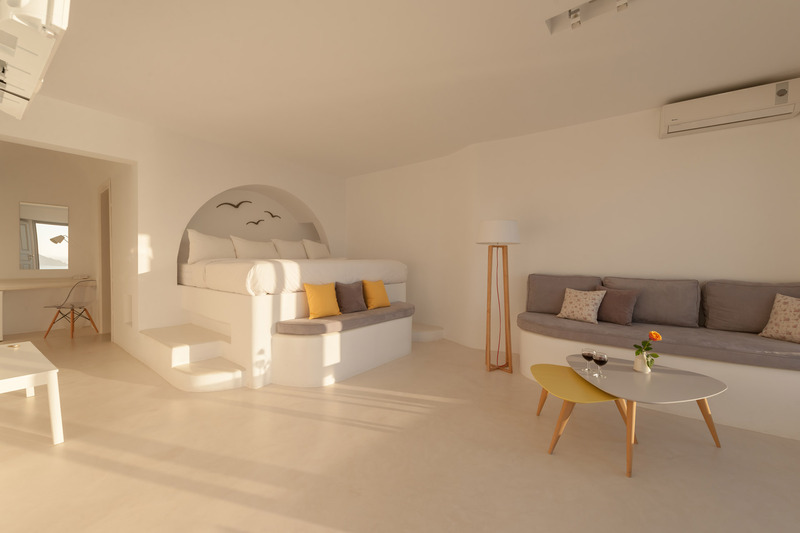 Hotel KETI is the ideal place to stay for those wanting to explore Santorini island. 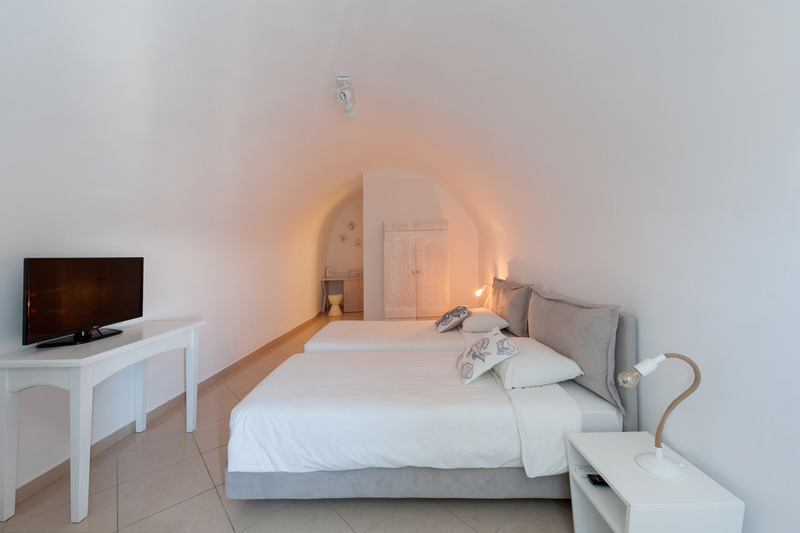 It offers a comfortable stay and all modern comforts in a beautiful surrounding area. 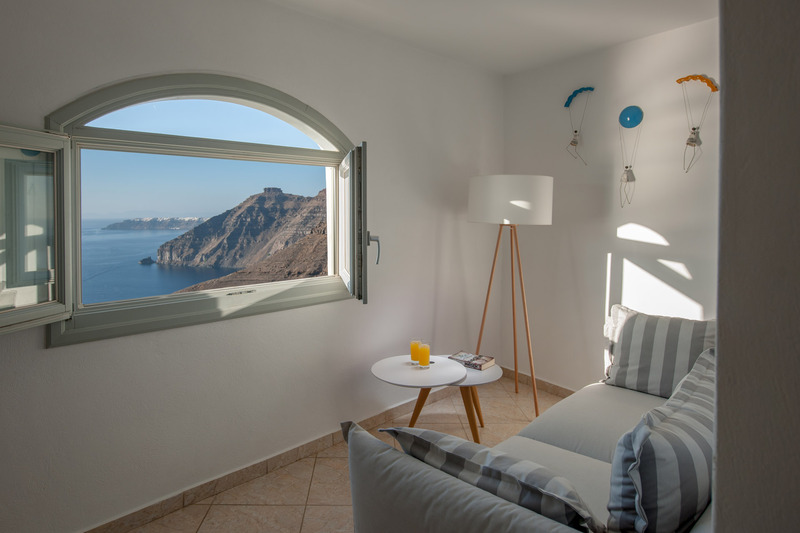 All guests can enjoy from their balcony the unique view to the Caldera. 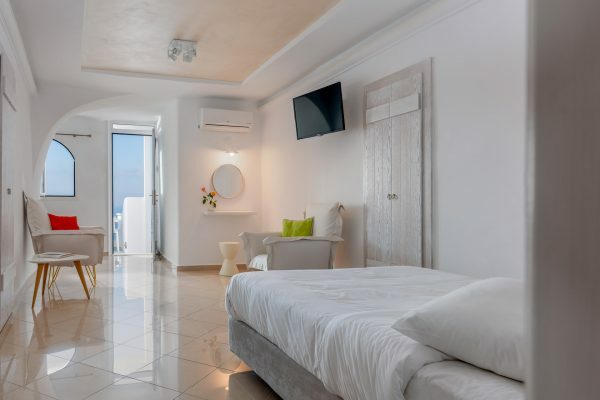 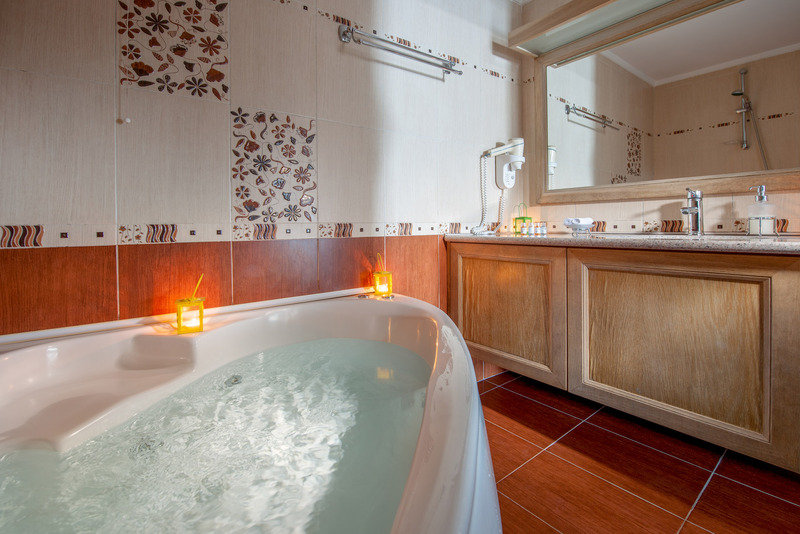 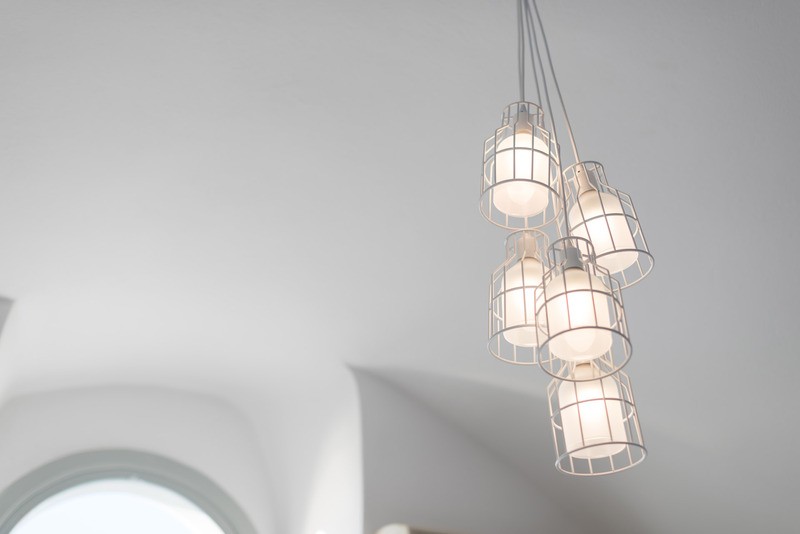 The hotel consists of 9 spacious and traditionally decorated rooms. 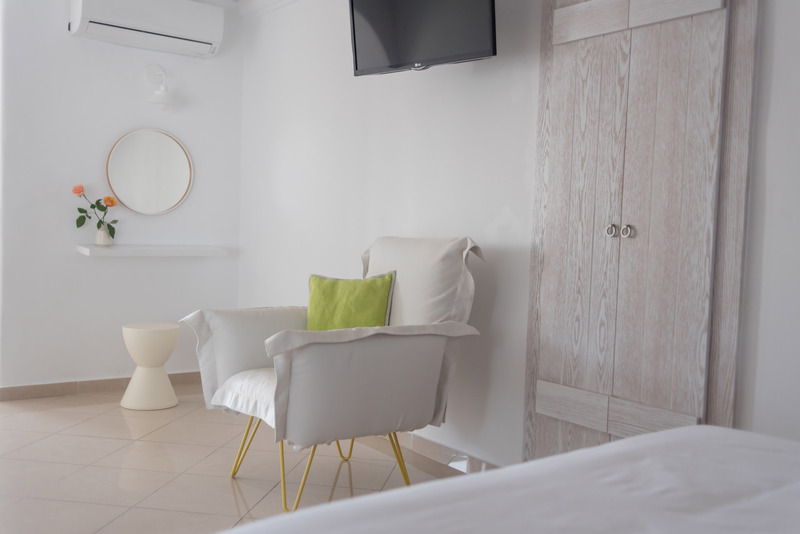 The hospitable staff of Hotel Keti is always at your disposal offering any help concerning your stay in the island. 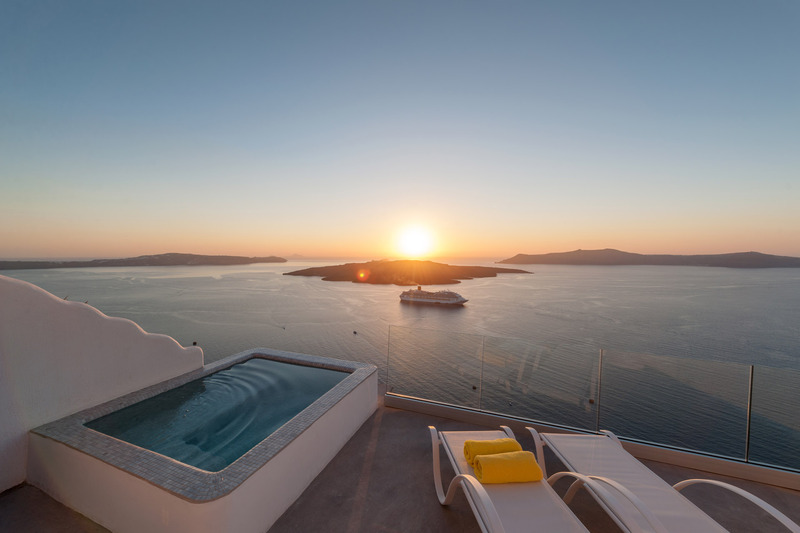 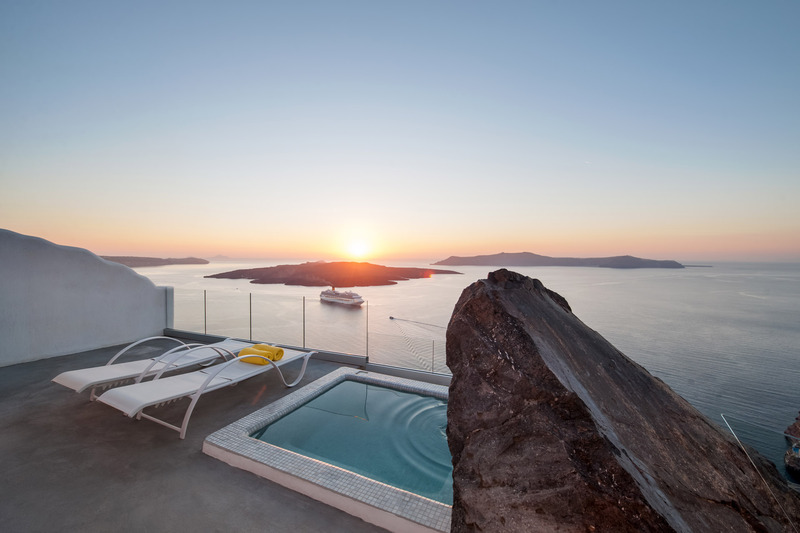 The Suites have a private balcony with magnificent view to the Aegean Sea, the Caldera and the volcano.